A life without any purpose or meaning, is actually no life at all.. You will be missed by a select few, and forgotten quickly by many. F.E.A.R has two meaning forget everything and run or Face everything and rise; it's your choice. F-E-A-R has two meanings: Forget Everything And Run or Face Everything And Rise. The choice is yours. 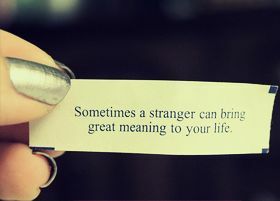 Life has a meaning to those who seek it within their lives. Meaning implies the sense or the gist that is conveyed in a message or speech. Every word should have a meaning and it is a bad habit to utter meaningless words. Great people achieve greatness only when they have spoken words that are pregnant with meaning. Likewise, all our actions should also have a meaning. It is the motive or the aim of doing some action. If both words and actions have a meaning, our life becomes meaningful. To quote,” love is just a word until someone comes along and gives it meaning “. Leading a meaningful life, gives a purpose to life and our meaningful actions and speech will be appreciated by all. Our meaningful life decides who we are and gives an identity. Here are quotes on meaning, read them they are thought provoking.